Sharing a meal is a transformative experience. We have all felt it throughout our lives, and at Henry’s we witness these moments on a daily basis. We opened our doors in October of 2004, and ever since then we have dedicated ourselves to the idea that when you, our guests, share a meal in our restaurant, you are sharing a part of your lives with us, and us with you. It is our job to make sure that your experience here is memorable, in every sense of the word. 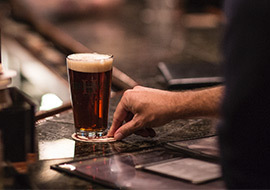 Henry’s Pub is many things to many people, but most importantly, Henry’s is the place people think of first when they want to enjoy time away from home and work. The idea of a pub is to create a place where people gather for all reasons, and where all reasons are welcomed equally. 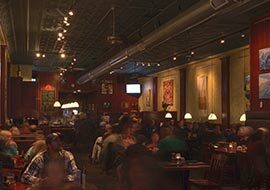 Whether you’re coming in to enjoy a cocktail with a friend, a meal with family, or a meeting with a coworker, our warm and familiar atmosphere will draw you in and make you feel at ease, and our staff will welcome you with open arms. Our stellar kitchen staff prepares everything from scratch daily, from our salad dressings and sauces to our entrees and pub fare. Our weekly lunch specials and gourmet dinner specials are sure to impress, and offer something for everyone, without breaking the bank. 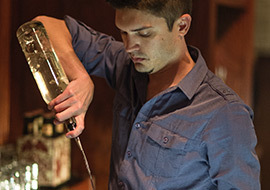 Our craft beer selection is hand-picked and is driven and inspired by the local brewing scene, and our cocktail and martini lists consist of unique and original craft cocktails that are prepared using fresh, local ingredients by skilled bartenders. Our staff are engaged, informed, and are all well versed in the art of service, guiding you through your time with us and making sure that your experience is everything you want it to be, and so much more. 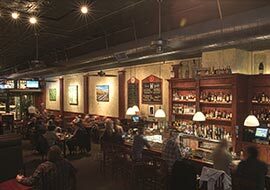 We’ve taken the simple idea of dining out at the local pub and injected it with the perfect blend of old town feel and urban flare, making Henry’s Pub the downtown destination for contemporary dining that you’ve been looking for. Put simply, we are dedicated to excelling in our craft, and delivering only the highest quality food, beverages, and overall experience to you, our guests, on a daily basis.